Amber Stubbs is an Assistant Professor in the School of Library and Information Science, and the Computer Science program, at Simmons College in Boston, MA. 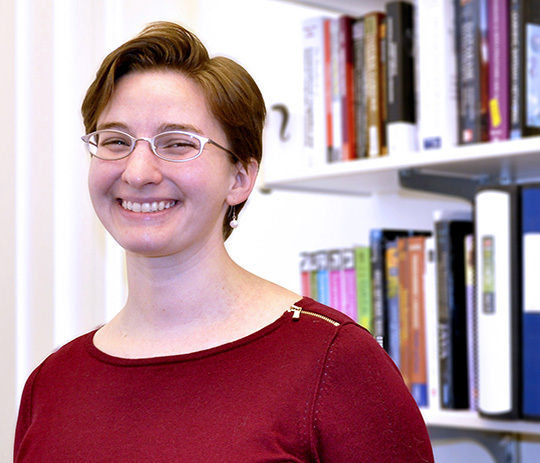 Her research is primarily in Natural Language Processing, with a focus on medical texts. Amber received her Ph.D. in Computer Science from Brandeis University. She also co-authored the book Natural Language Annotation for Machine Learning with James Pustejovsky. The workshop for this shared task was held in November 2014, and the Journal of Biomedical Informatics will be publishing a special issue on the task in late 2015/early 2016. Amber is a member of the Simmons Language Laboratory (SLANG), which has a blog she sometimes contributes to. New website! Still tweaking the design, but the content is updated. I had to take down the blog I hosted here because I couldn't keep up with the security updates, but I now have a new blog at Simmons: http://slis.simmons.edu/blogs/slang/. This blog has the posts that I'd originally put up here, so please check it out!